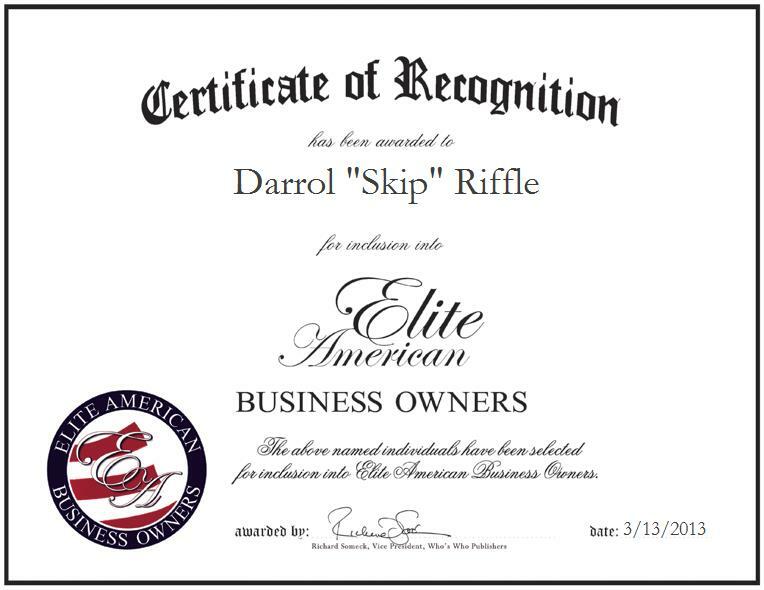 Company: Bikes For Tykes Inc.
NAPLES, FL, March 13, 2013, Darrol “Skip” Riffle, President and Founder of Bikes For Tykes Inc., has been recognized by Elite American Business Owners for dedication, achievements, and leadership in all aspects of children’s charity services. Darrol “Skip” Riffle has seen how something as simple as a bicycle can change so many things. About 20 years ago, he received a phone call from his sheriff asking him if he had any leftover bicycles. He received the phone call after Christmas, and told the sheriff he did not, as he and his family had just given them all out for the holiday. He asked him for what particular reason he had needed the extra bicycle. He was then told about an 8-year-old boy that had been battered and was possibly dying. It seemed that the boy’s mother had a boyfriend that came home intoxicated and had gotten into an altercation with the mother. After knocking the mom unconscious, and realizing that the young boy was trying to help her, the man turned on him and grabbed him by the feet and swung him around in circles slamming him into the walls and furniture. The boy had a broken arm, broken leg, three broken ribs and a concussion, and he had been bleeding from the ears; he had also suffered additional trauma. The doctors said he had given up the will to live and they were worried that he was dying. The sheriff thought that if he were to get a new bike that he might want to get better to ride it. He had also wanted a bike for Christmas, but didn’t get one. For more information about Bikes For Tykes Inc., please visit http://www.bikesfortykes.org.